Among the many factors that may increase the risk of an asthma attack, pollen grains are one of the most potent ones. Among the many factors that may increase the risk of an asthma attack, pollen grains are one of the most potent ones. According to experts, pollen grains, the levels of which are known to become higher during spring and fall, are among the major causes for serious allergic reactions and asthma attacks. The study, published in the Indian Journal of Allergy, Asthma and Immunology, revealed that not only vehicular pollution, but pollen in the atmosphere is also responsible for triggering respiratory allergy in over 30 percent of the population. "Contrary to popular belief, not vehicular, it is the pollen grains, fungal spores, dust mites, insect debris and animal epithelial that include major causative agents," said the study conducted by the National Centre of Respiratory Allergy Asthma and Immunology, Vallabhbhai Patel Chest Institute. 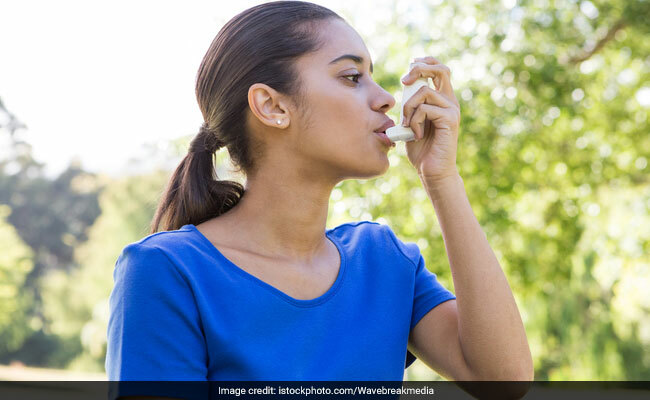 "While pollens were already recognised as an important allergen, the study helped in understanding its detailed effects on respiratory systems," said Raj Kumar, Head, Department of Pulmonary Medicine, Vallabhbhai Patel Chest Institute. The fat soluble vitamin helps in defending against injury to human tissues. Vitamin E in our diet usually comes from plant-based cooking oils like Sunflower, safflower and rice bran oil along with canola, peanut and olive oil. Almonds and sunflower seeds are also good sources of this vitamin. Beta carotene plays a very important role in controlling inflammation because of its antioxidant activity. Leafy vegetables like coriander, methi, lettuce and spinach are the richest sources of beta carotene. Radish leaves and carrots are also good sources. Omega-3 fatty acids protect against the effects of pollution and pollen grains by protecting the body cells from damaging. Nuts and seeds like walnuts, flaxseeds and chia seeds are some the excellent sources of the omega-3 fats. While it may help to include these foods in your daily diet, it is also important to avoid spending too much time outdoors during the pollen season.